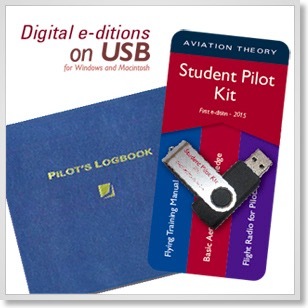 The USB Student Pilot Kit with Pilot Logbook collects all the study needs of the student pilot in a portable, printable, package. The USB kit includes: Basic Aeronautical Knowledge Manual, the Flying Training Manual, and aviation Flight Radio Manual loaded on a USB stick. A hard copy pilots log book is included. Your log book is a personal record of your flying, and we find that most pilots prefer to have a hard copy. Great value, only $195.60 + Post. 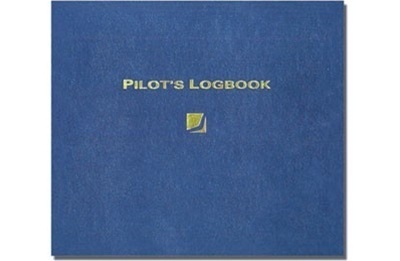 A quality Pilots Log book you will be proud to own. Quality hard cover book, navy blue with gold text on the cover. Set up with all the sections you will ever need starting from sport aviation flying all the way to airline use. Professionally manufactured, hard cover, 160 pages. The aviation rule book, the Visual Flight Rules Guide, published by CASA, a must have publication for student pilots. Read online for no charge, CLICK HERE.